Do you know if there's a site map anywhere? so we have to order from 'curebelgrade' ?? or are the tickets personalized ?? Just trying to navigate the site & it looks like if you're a member of Exit Tribe (not sure how), you can get early tickets at a 60% discount. day tickets or those cheap ones. The day tickets are available from the 23rd according to the site. I guess the buttons become active on that day. 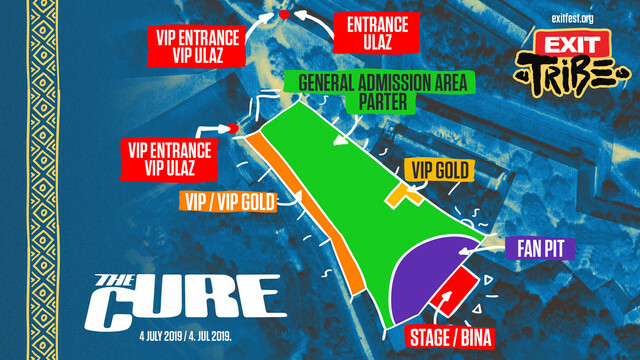 Serbians pay 50€ for the full ticket and 20€ for the Cure day. Tickets aren't personalized but they ask for an ID when you exchange your ticket for the wristband and check your nationality. If you have a "serbian" ticket and you're from let's say England they'll say you can't exhange it. Exit tribe is just everyone who bought tickets for Exit 2018. A belated hi and welcome to the forum curebelgrade Do you know how big this festival is/how many tickets they sell? I'm so happy for you, curebelgrade . 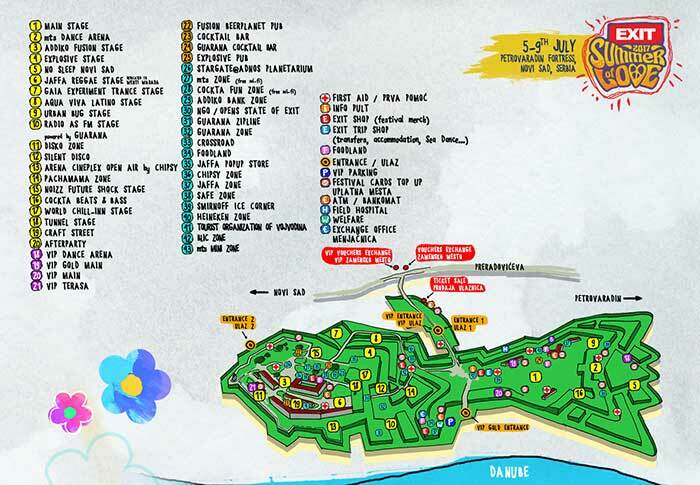 I can't tell if there are one day VIP passes available starting 23 October for the day TC is headlining. All I see is VIP passes for all four days or 4th July as a single day. Whoops, I see this should be in the tickets and venue thread, instead. Sorry about that, steve. Feel free to move. Don't go for the VIP. I'll do a paint presentation Yellow circles are VIP places. Either a terrace on the right or the seating place on the middle left. It's too far away from the stage. 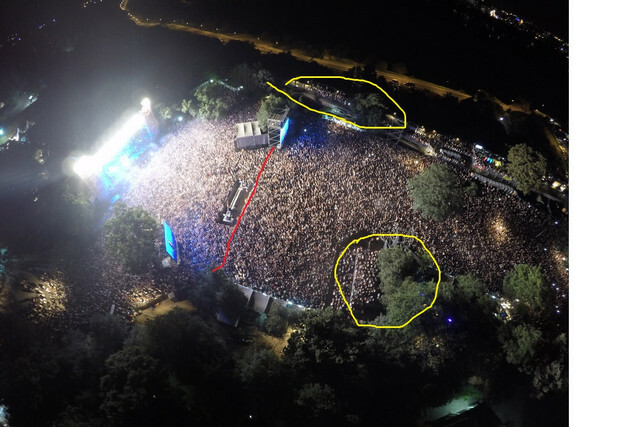 They only had fan pit once before (for The Killers) and the red line is where they made a cut between fan pit and everyone else.